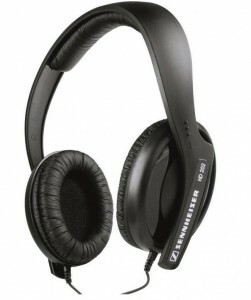 Sennheiser is one of the top brands when it comes to headphones. This brand is known for great quality. The Sennheiser RS120, with an average price of $80, is one product that fortunately does not put the Sennheiser reputation down. Despite the price, it delivers great sound quality. It is an over-ear pair of wireless RF headphones that comes with a charging cradle. It is designed with great user experience in mind. Aside from delivering detailed and analytical sounds with strong bass response, this open back supra-aural pair of headphones offers the convenience of receiving signals through walls and ceilings. It is ideal for television use and hi-fi sound enjoyment. The Sennheiser RS120 is lightweight and very comfortable to use. Even the controls are designed for intuitive operation. The transmitter that comes with the device also serves as a charging unit and can be mounted on the wall. Overall, this pair of headphones is adequately reliable. It even comes with an extensive two-year warranty, when bought directly from the manufacturer. Additionally, the ear pads or ear cups are replaceable. Rest assured that this list does not particularly have any bias for the Sennheiser brand. The inclusion of another Sennheiser model is merely because the pair definitely deserves to be listed as one of the best options for headphones priced below $100. At an average price of $25, who would not be tempted to get this great professional set of closed-back supra-aural headphones? It is primarily intended for DJs and audio professionals. It comes with a 10-foot y-style cable and is rated to have an impedance of 32 Ohms and a frequency range of 18Hz+18kHz. Total harmonic distortion is estimated to be at less than 0.5%. Overall, the produced sound can be described as something very clean with a deep bass response. The deep bass response is made possible by the specially designed damping perforation in the drivers. The Sennheiser HD 202 II offers great ambient noise attenuation along with excellent neodymium magnets and light diaphragms to be able to deliver impressive low bass levels. It works great when playing modern rhythm-driven music. Moreover, the ear cups can be detached from the headband for easy cleaning and maintenance. This pair of earphones also features a rugged outdoor design, along with a flexible headband. 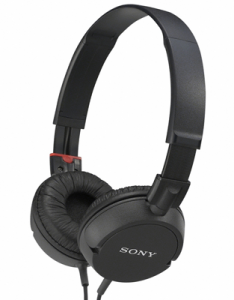 The MDR-ZX100 ZX series from Sony is a lightweight and easy-to-use package. Its regular price is around $20, a steal for something that delivers high quality and powerful sound. It is a closed back supra-aural type of headphone that comes with 30mm drivers. The drivers feature multi-layer dome diaphragms that have neodymium magnets that enable the production of crisp and realistic sound quality over a wide frequency response range. It is primarily intended to be highly portable as evidenced by its light weight and foldable design. 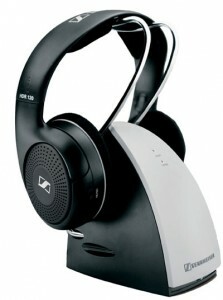 The MDR ZX100 is designed to be comfortable to use and easy to pair with various multimedia devices. 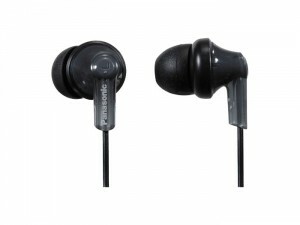 The Panasonic RPHJE120K is an in-ear headphone that comes with 9mm drivers having a 16 ohm/1kHz impedance rating and a 20Hz-20kHz frequency response range. It produces decent enough sounds even with the incredibly low $10 regular selling price. Overall, the Panasonic RPHJE120K can be described as a cheap, comfortable to use, and good-sounding enough pair of earphones. It features an “ergo-fit” design intended for ultimate comfort. It certainly isn’t the best-sounding headphone available but it is worth considering because of its ridiculously low price and unexpected durability. You can get the Panasonic RPHJE120K in a variety of colors that particularly match the iPod Nano 5th generation. Compared to more expensive products like the $150 Beats headphones, the Panasonic RPHJE120K certainly does not deliver comparable audio quality. However, the difference is not as high as 10 times—not even 3 times. For the $10 to $150 price difference, it is safe to assume that the Panasonic RPHJE120K indeed provides great value for the price paid. 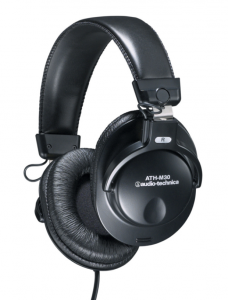 The Audio-Technica ATH-M30 is a professional studio monitor closed-back pair of dynamic stereo headphones. Costing around $60 on average, this high quality unit is a great choice for home recording enthusiasts, musicians, and studio engineers. With 40mm drivers, the Audio-Technica ATH-M30 delivers excellent sound clarity and accuracy. The drivers have an impedance rating of 65 ohms, a copper-clad aluminum voice coil, and a frequency response range of 20Hz to 20KHz. It features a circumaural design that guarantees effective noise isolation. It also has an adjustable cushioned headband to ensure comfortable usage. All in all, the Audio-Technica ATH-M30 offers an outstanding level of sound reproduction accuracy. Its price defies the common misconception that headphones have to be expensive to offer great quality. The ATH-M30’s design and technical specifications are worth more than its current price. It produces warm sounds with excellent bass levels, accurate treble, and smooth midrange. Sound clarity is also noteworthy. This professional-quality pair of headphones certainly deserves to be on top of this list.